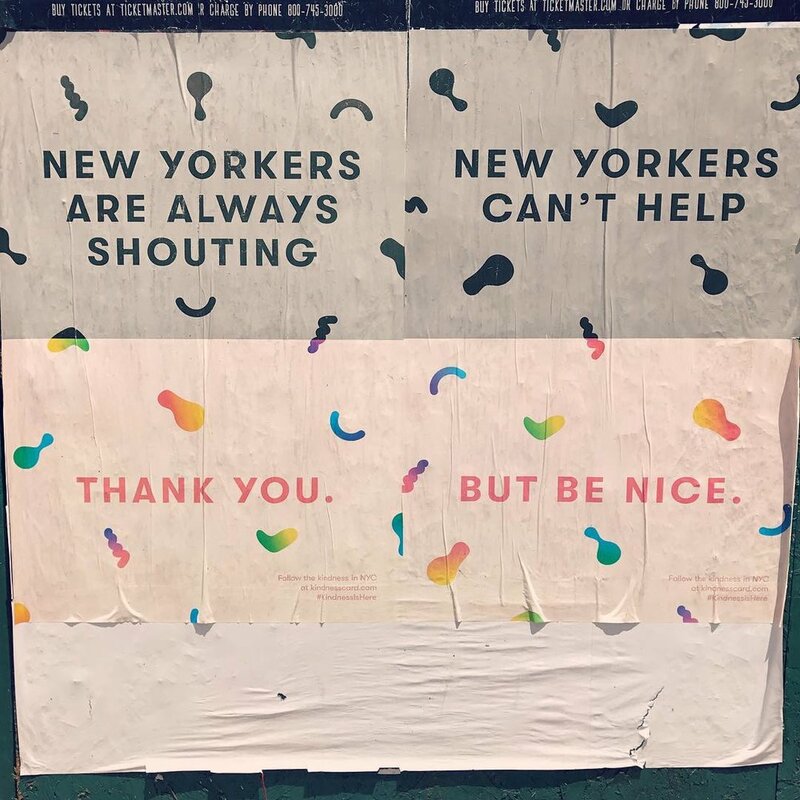 New Yorker's are kind. But that's not their reputation. 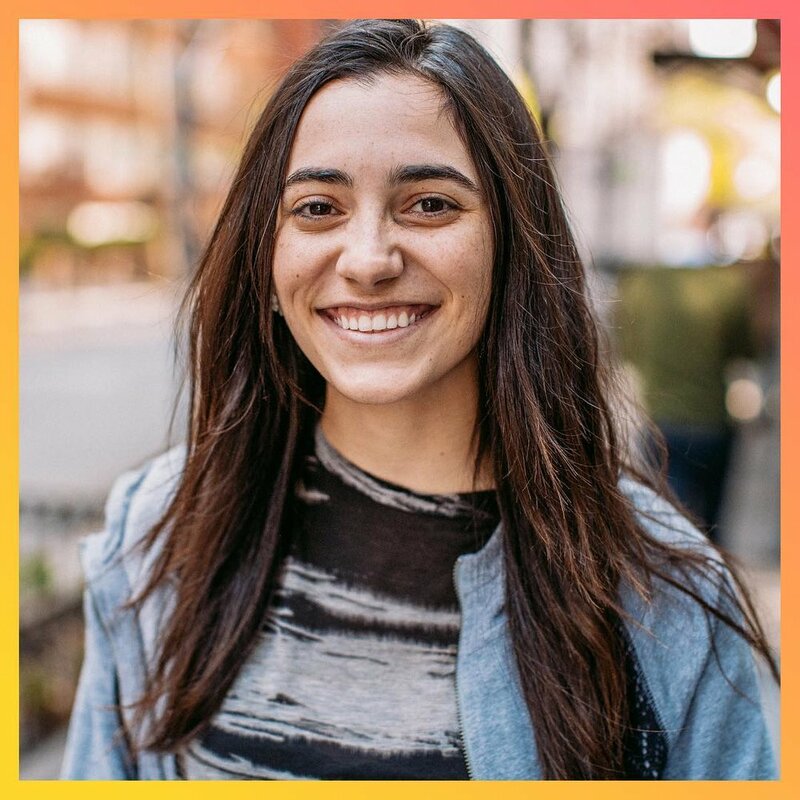 How can we engage the most dynamic city in the world and design a digital and physical experience that will incentivize, reward, track and document kindness? 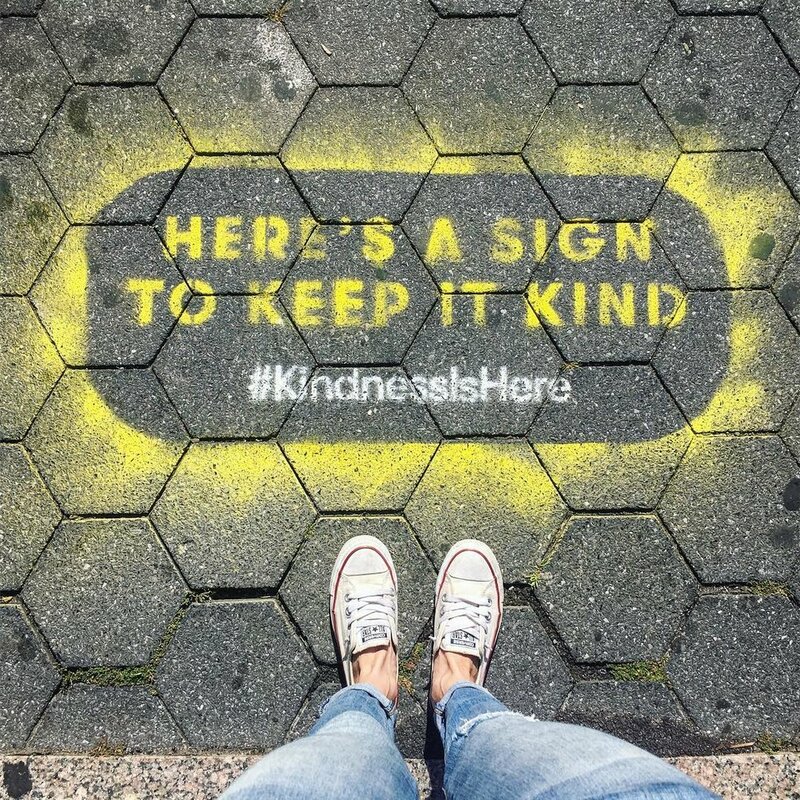 The Kindness Card Experiment is both a phenomenon and an actual card that rewards unprompted gestures of goodwill with cash, and helps New Yorkers “pay it forward” with a charitable donation. Intrigued? You should be. 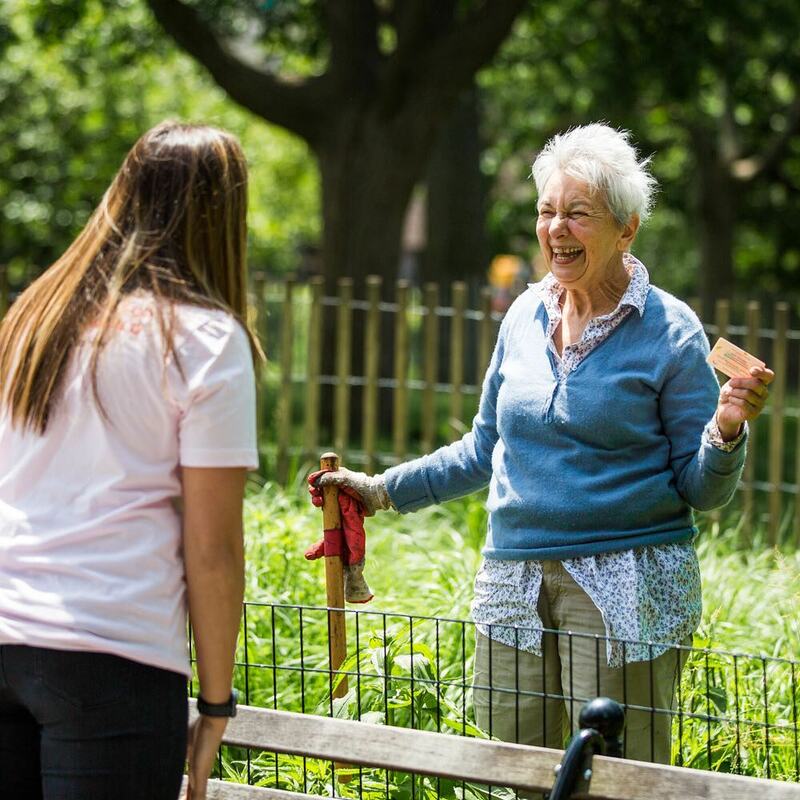 Approximately 5000 cards were distributed throughout New York's five boroughs in June 2017. Recipients of The Kindness Card were encouraged to reward a stranger, or friend, for kind acts small and large. 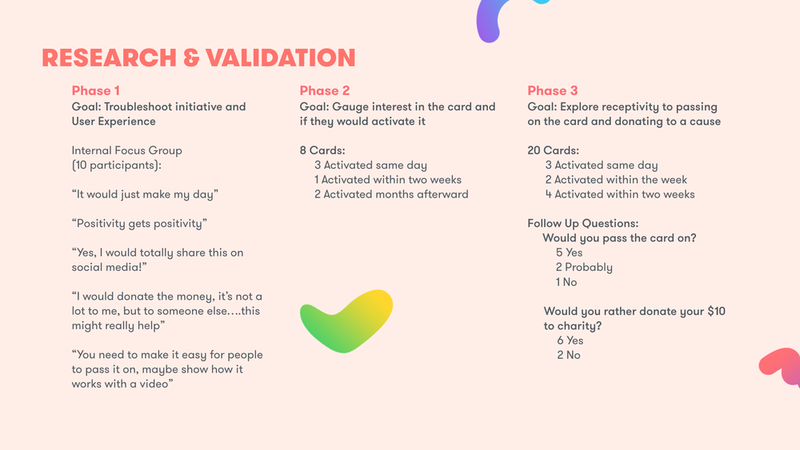 With each pass, The Kindness Card is reloaded with $10 that can be redeemed for a gift card online or donated to a local charity before it is passed on to the next deserving person. In order to bring this concept to life, we needed insight into the barriers, if any, for engagement with both the digital and physical elements of the experiment. User testing and research would be our key as the project unfolded, as they usually are. But both, in the early conceptual stages were immeasurably formative. From small focus groups asked to troubleshoot the initiative, to a prototype web experience we built to track a controlled amount of preloaded credit cards and determine how many had been activated, we generated a great mass of data and documentation that not only supported The Kindness Card Experiment, but helped shape it. Whilst the real world experience was being sketched (literally and figuratively) out on the streets of New York City. Particular attention was paid to the primary product of this experiment. 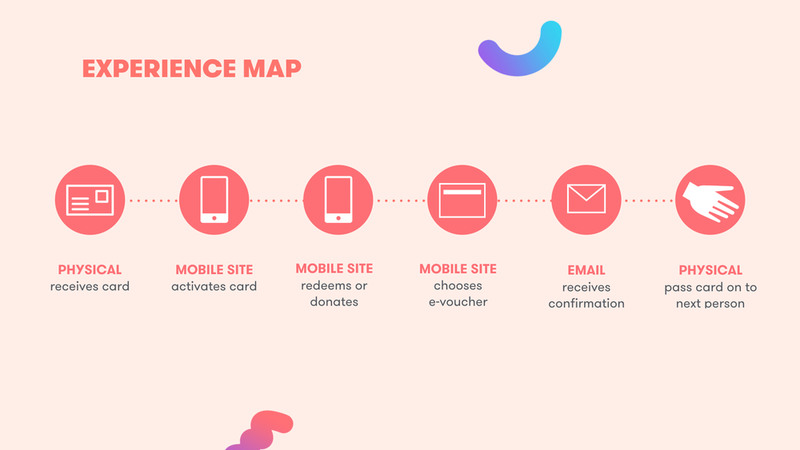 The physical card itself would drive users to our digital site, where four key actions needed to occur. Identify the card they card received. Tell the story of how they received it. Redeem or Donate the $10 reward. Encourage the transition of the card. This could only be achieved via an experience that was joyful, quick, trustworthy, secure and authentic. 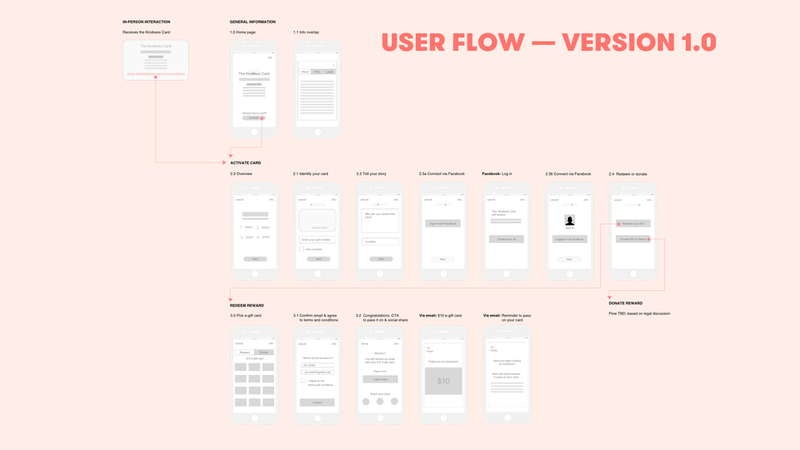 And again user testing, iteration and varying-degrees-of-fidelity prototyping served us well.. Given that the card had a monetary value, our obstacles lay in security and in avoiding fraudulent activity. Law states that credit cards need to be assigned to specific individuals, therefore reloadable cards would not be effective as the cards passed hands from owner to owner. Our solution was to use a 3rd party e-voucher vendor who's API allowed us to integrate that flow seamlessly within our own experience. Certain verification methods were also adopted to ensure that reward was issued once to a single user. 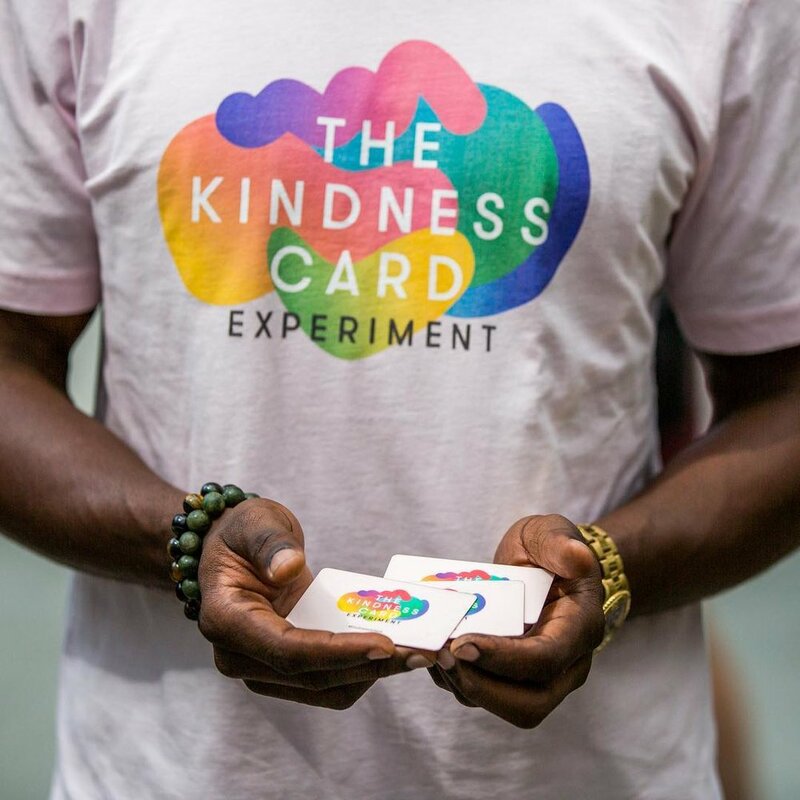 Those who encounter, and become a part of, The Kindness Card Experiment are encouraged to document their experience online where the number of acts of kindness registered, dollars redeemed in kindness, and dollars donated to charity are tallied. 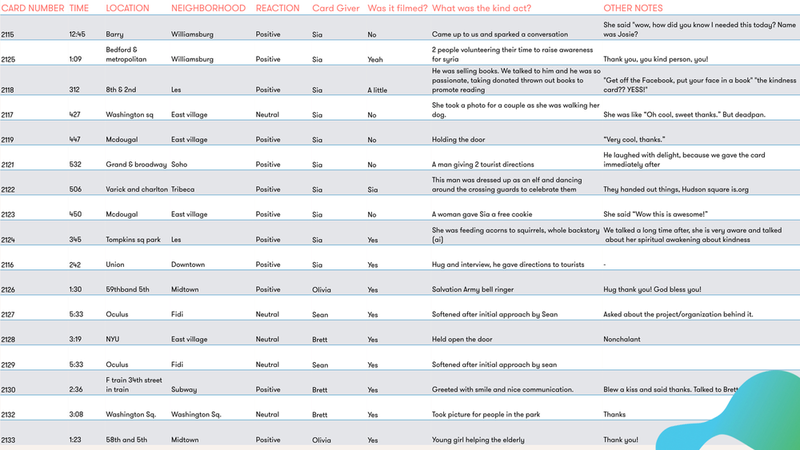 The portal enables visitors to see data on a map, read reports from recipients on how and why they received a card, and read mentions of the project on social feeds, tagged with #kindnessishere.